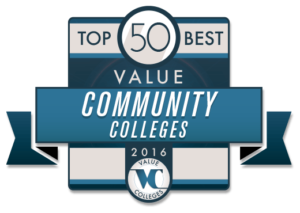 Based on graduation/transfer rates, mid-level salary for graduates, and actual tuition, Cowley College was selected to the top-50 list of Best Value Community Colleges of 2016 by www.valuecolleges.com. Cowley not only made the list, the school came in at No. 22 out of the top-50 Best Value Community Colleges. Using data from College Measures, a Gates Foundation-supported database, Value Colleges surveyed the 1,717 Community Colleges in the United States that offer two-year Associate Degrees. The results were filtered to find schools that met criteria that relevant in finding the Best Value Community College: average to high graduation rates (over 45%), low-to-average cost (under $10k per year), over 1,000 enrolled students, and AACC membership. Here is what Value Colleges had to say about Cowley.